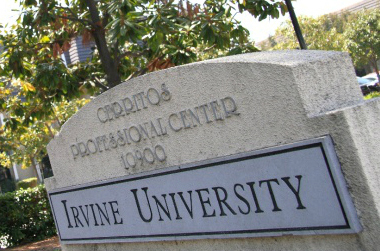 Please join us for our Fall Information Session here at Irvine University College of Law. This will give you an opportunity to take a tour of our campus, meet some of the faculty, and answer any questions that you may have relating to the law school. Please forward this information to your family, friends, and colleagues, that may be interested in attending. Please let us know if you have any further questions or need assistance to RSVP to the event. Refreshments will also be served. Information Session will start Saturday, August 4, 2018 at 10:00am-12:00pm. 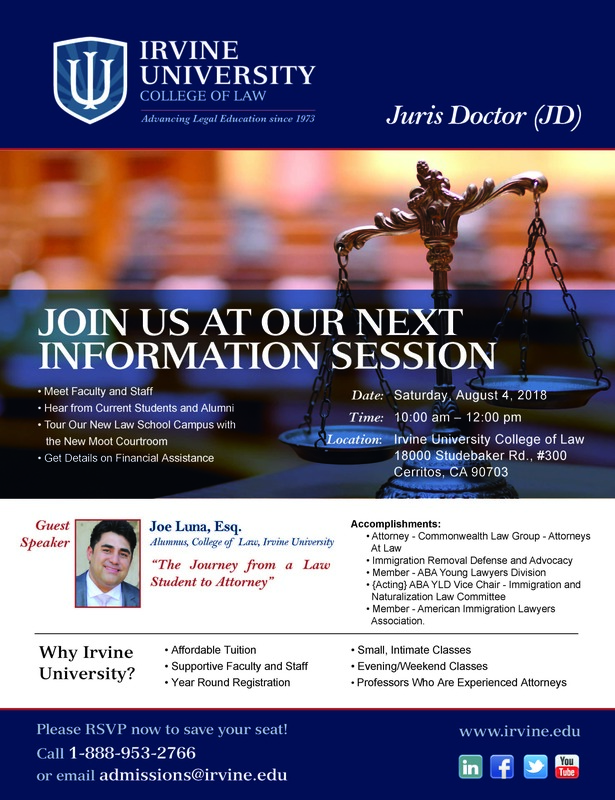 To RSVP, please call (562) 865-7111 or click here. We hope to see you there!